I am sending, once again, my earlier post on The Miller, His Son and the Donkey and one on Ferdinand Hodler. My purpose is to show images. Two are by Milo Winter (The Æsop for Children, EBook #19994) and one is the work of Ferdinand Hodler, perhaps the finest Swiss artist of the 19th century. I would like to show you more of his work. 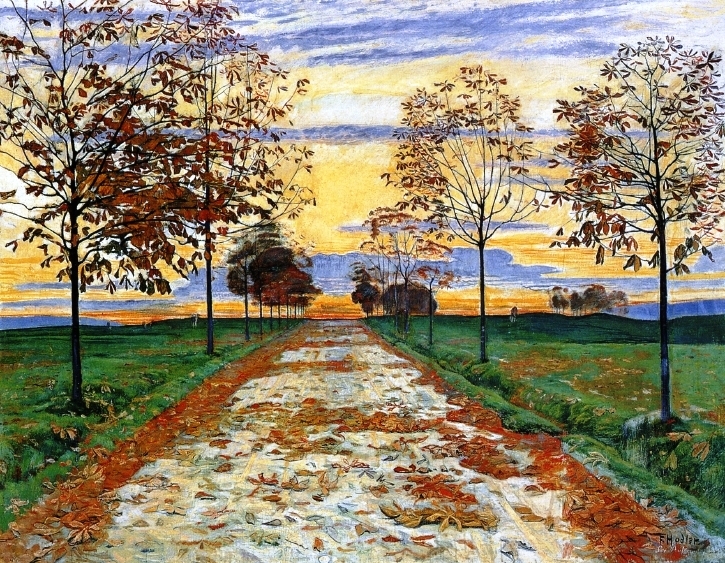 Ferdinand Hodler (14 March 1853 – 19 May 1918) was born in Berne, Switzerland. He was soon the only surviving member of his family. All died of tuberculosis. This experience coloured his life. 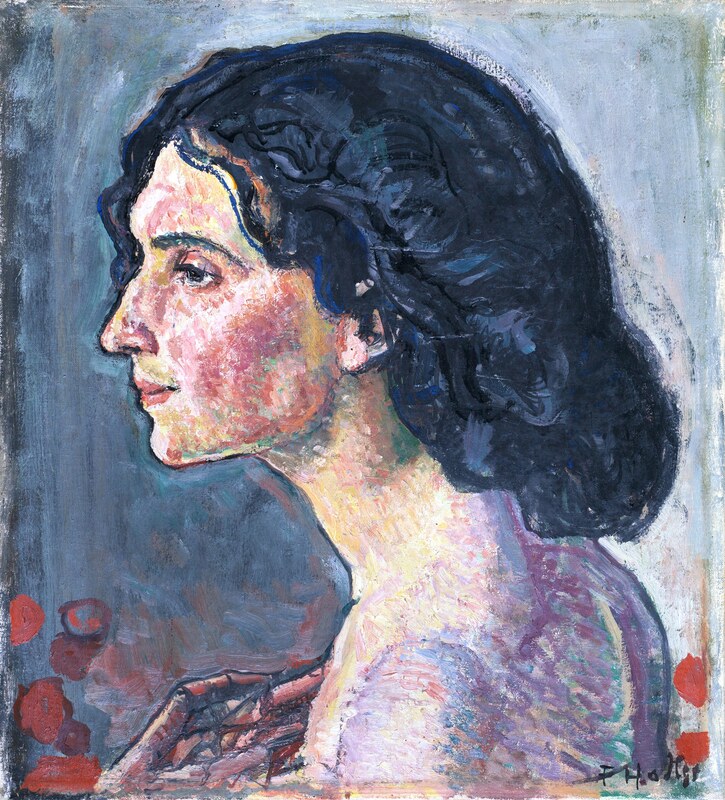 For instance, Hodler painted several portraits of his mistress and former model Valentine Godé-Darel during the years she was dying of cancer. The video I am inserting in this post documents her “disintegration” Interestingly, Hodler also painted some 20 portraits of himself. These may be a chronicle of the gradual metamorphosis that characterizes human life. 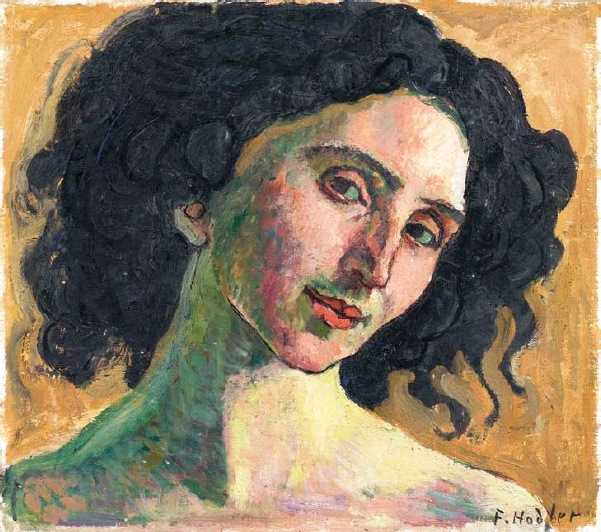 After Ferdinand Hodler’s father died, his mother married a decorative artist. This may explain Hodler’s career as illustrator. He apprenticed at Thun and then moved to Geneva. He is associated with many movements: from realism to expressionism, including symbolism and Art Nouveau (see “Adoration III” at the bottom of this post). We have seen the work of Alphonse Mucha (24 July 1860 – Prague, 14 July 1939) who was a Czech Art Nouveau artist. In order to improve his skills, Hodler travelled so he could study the work of other artists. He was particularly interested in the art of Hans Holbein. Hodler painted several landscapes and portraits. Favourite subjects were women and people going about their daily activities, genre painting. However he was also an illustrator. 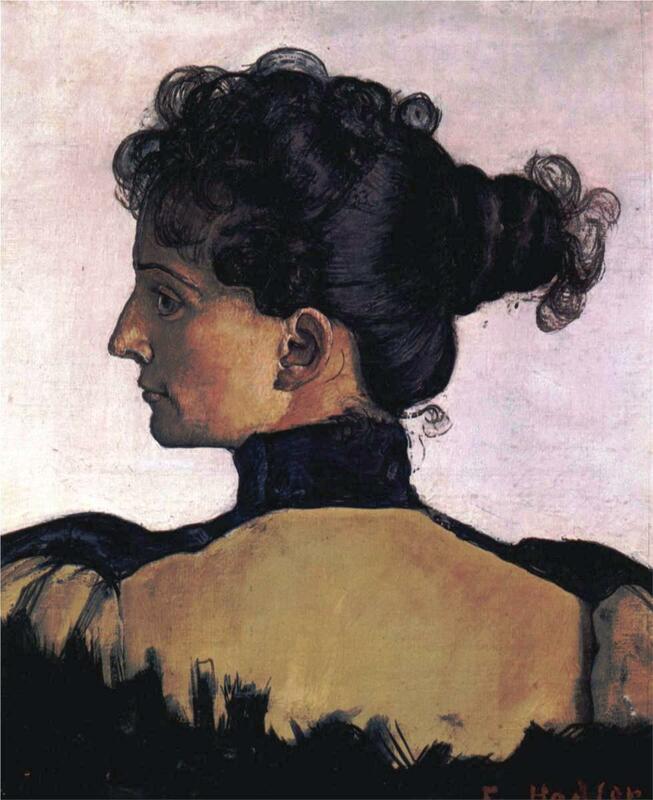 Ferdinand Hodler married twice and his son by one of his models, Augustine Dupin (1852–1909), Hector Hodler (1 October 1887, in Geneva – 31 March 1920, in Leysin, Switzerland) founded the World Esperanto Association. During the last year of his life, he had suicidal thoughts. Hodler died at the age of 65 and is now considered a Swiss legend.